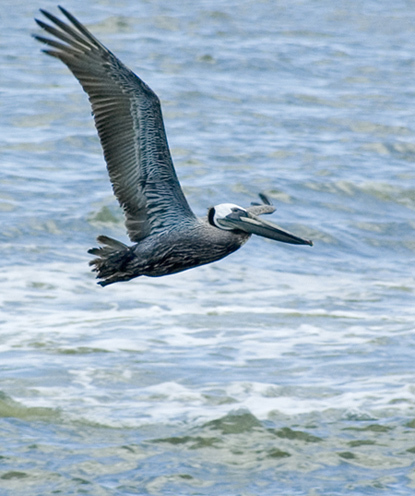 I like the shades of blue and grey here and the composition of the pelican in the top left. Would've been nice to see a bit more water at the bottom, but that's just nitpicking. captured it rightly Michel. A little blurry too, can be out of focus or camera shake.